CRUSADER OF EXCEEDING CUSTOMER EXPECTATIONS! We command our own fleet of trucks and trailers. This means, our customers can expect container delivery on their timeline while placing orders. Partner with a dedicated sales specialist to manage your project with the right portable storage rental solution from start to finish. We help our customers by discussing all the specs of the job right at the outset to arrive at the perfect pricing. No matter how diverse the requirement, we can find the right storage container for you. Mike delivered our 20' office/storage container. The location was sloped, so we thought we would need a forklift to level the unit after it was dropped off. Mike, after helping me move nine sheets of 3/4" plywood to protect the asphalt, offered to level the unit as he rolled it off his truck. He skillfully maneuvered the unit on top of leveling blocks (he provided), so no further effort or expense was required by our company. The overall product and customer service that Mobile Modular provided was excellent! They were very professional and responsive to our needs and delivery schedule. I would recommend to others and will use their services again! Needed a storage unit for a month for a large festival. Was Delivered and picked up efficiently, easy open and close and locking access. Stayed watertight in large amounts of rain. A good unit to use. Great unit for the site. Even greater customer service! We rent different units for different job sites. The office staff particularly Rebeca is always helpful and efficient. The drivers double and triple check operation before they leave and generally call ahead to get site specifics so there are not any surprises when they show up. We store toilets in the container and at this size we can get almost 150 un-built toilets inside the unit with ease. We rented a storage unit for six months for a construction project. The unit was perfect for our needs. The customer service was excellent, working with us on delivery and pickup times. We rented the job trailer and storage bin back in January and have no issues with either building. All company interaction and been professional and friendly. I recommend them if you need any temporary storage. You guys were super accommodating on our last order. I have to be honest I tried your competitor first and they couldn't even come close to meeting our demands. I called Eli, and there wasn't a doubt in his mind he wouldn't be able to handle it. In my seat that goes a long way. One less thing I have to worry about. So thank you for that. We will definitely be using you guys on future projects. I have been working with Katherine Baysinger since 2015, and she has always been very personal, friendly and professional whenever we needed to order containers for storage. Most of the time it was always a last minute request and we needed delivery ASAP, which Katherine and the team were able accommodate to meet our expectations. Superior customer service from Katherine Baysinger. ALWAYS GREAT WORKING WITH TIM! I have worked with Mobile Modular Portable Storage on a few of my projects, and they have always given outstanding service. We have requested to have units moved from various locations on the job sites and they are always accommodating to our customers requests and schedules. Tim is the first person I call when our customers need storage units. It's always a winning experience! Our Captain Customer video series provides a behind the scenes look into our daily operations. These videos offer unique insights into what the job entails and what it is like to work with us. 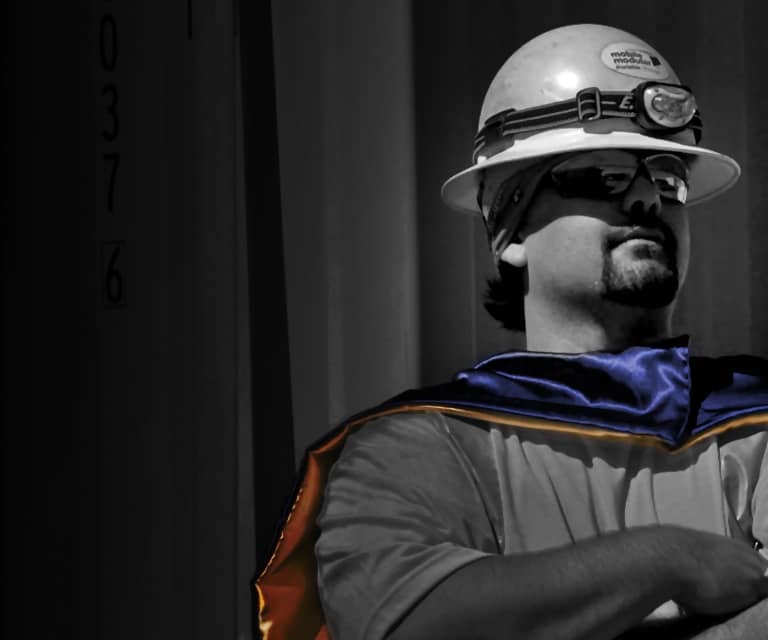 We didn't hire fancy actors – we used OUR Superheroes, our frontline employees, who share their honest, authentic feelings about serving you each day. We are a quick, easy, and affordable provider of mobile storage containers and ground level office containers for commercial use. We serve business customers in major industries like manufacturing, construction, healthcare, schools, theme parks and many more at various locations across the nation. Rent our shipping containers for added storage and reclaim your warehouse or office space! Or rent our specially designed containers to serve as your office space. Mobile Modular Portable Storage offers the highest quality commercial office containers and mobile storage containers for rent or purchase. With conex boxes that come in various sizes, we offer a lot of flexibility to store equipment, documents, furniture, and inventory. No matter how diverse the requirement, we can find the right conex box or shipping storage container for you. We help our customers by discussing all the specs of the job right at the outset to arrive at the perfect pricing. And unlike the usual 28-day billing cycle, we bill using a 30-day cycle. The benefits don't end there. At Mobile Modular Portable Storage, we command our own fleet of trucks and trailers. This means our customers can expect container delivery on their timelines while placing orders! Healthcare – Quick and secure solutions for hospitals and other related services when you urgently need extra space. Education – Get affordable storage space for your schools at the right time. Make remodeling and other transformations hassle-free. Government – Safeguard sensitive government documents and material with high-security, weather-resistant storage containers. We meet your high standards of compliance and efficiency at construction sites with our commercial storage solutions. Provide yourself with a space for clean, secure and organized work with office containers and storage containers available in 8' x 20,' 8' x 40,' and other container sizes. Our high-security ground level offices have HVAC units, lights, data lines and phones (pre-stubbed) for your convenience. We also offer portable storage containers for many other industries. Our shipping containers can be used during disaster relief where emergency storage and structures are required on short notice. You can also take a look at our special offers for great savings on top quality used shipping containers. Contact us or request a quote today.